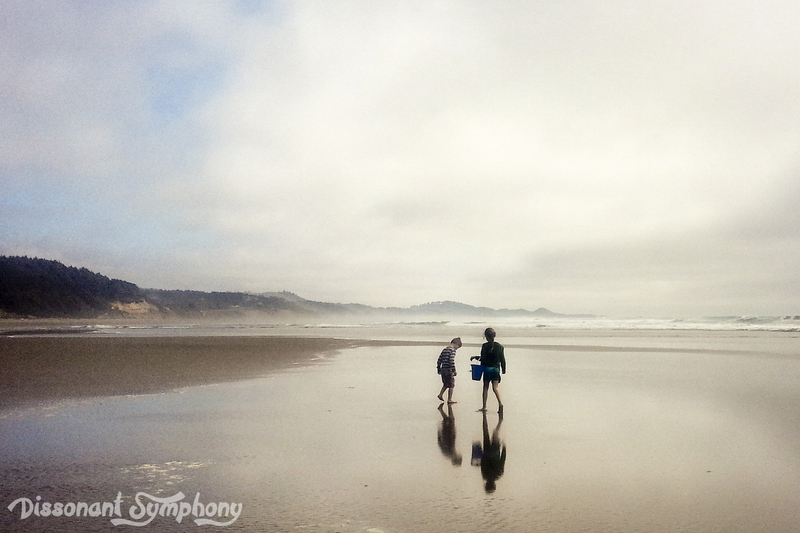 While my husband was training for his new job in the shadow of the Golden Gate Bridge, the kids and I took a jaunt to the Oregon Coast and spent 5 glorious days flying kites, observing nature, building sand castles, exploring miles of pristine beaches, discovering tide pool creatures and generally having a jolly good time. 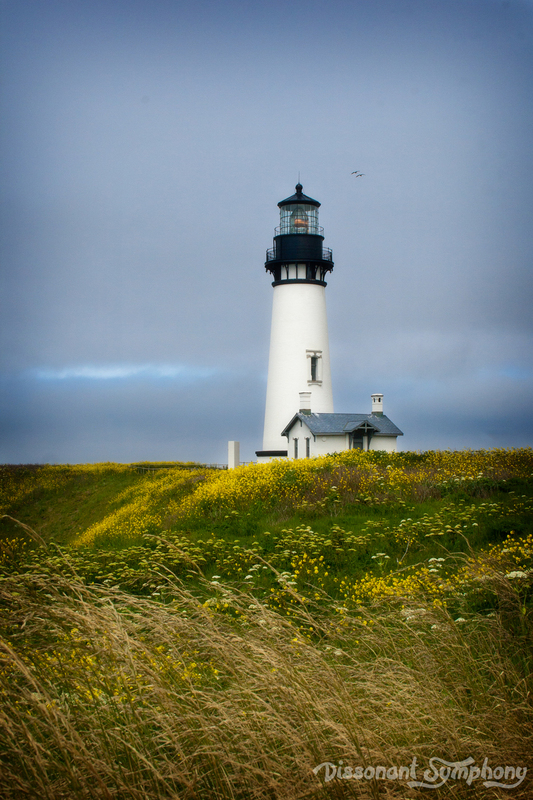 The Yaquina Head Outstanding Natural Area was one of the highlights of our trip, and I thought I’d share a little for anyone in search of a ruggedly beautiful place to vacation this summer. Yaquina Head Outstanding Natural Area extends out from the Oregon coast, one mile into the Pacific Ocean. 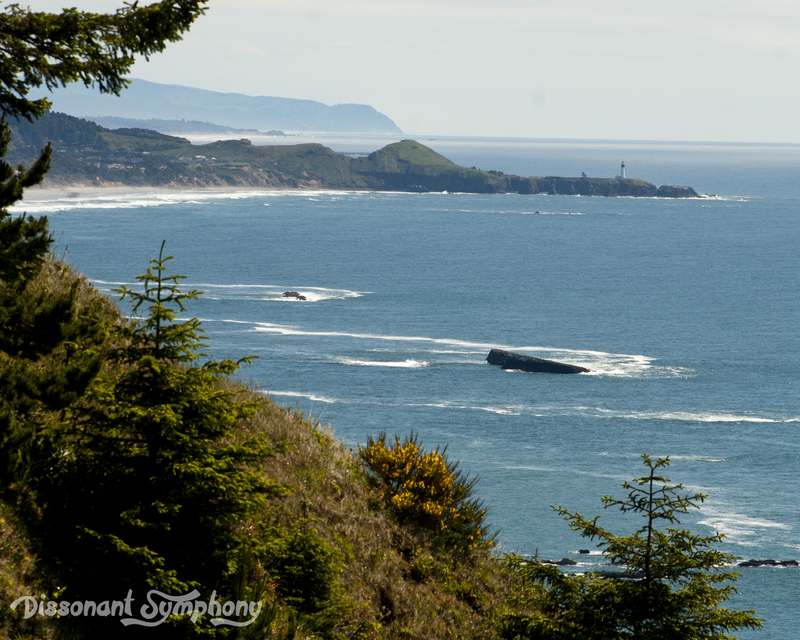 At the far westernmost point of the headland stands a 93 foot tall lighthouse that’s been guiding ships along the west coast of Oregon since August 20, 1873. Passes for the inside of the lighthouse are available from the Interpretive Center, which you should acquire upon first arriving. The gates opened at 10 and by 11 o’clock, the first few tours were already booked. Tours are at 12, 1, 2 and 3 o’clock every day except Wednesdays. What do they have against hump day? I dunno. 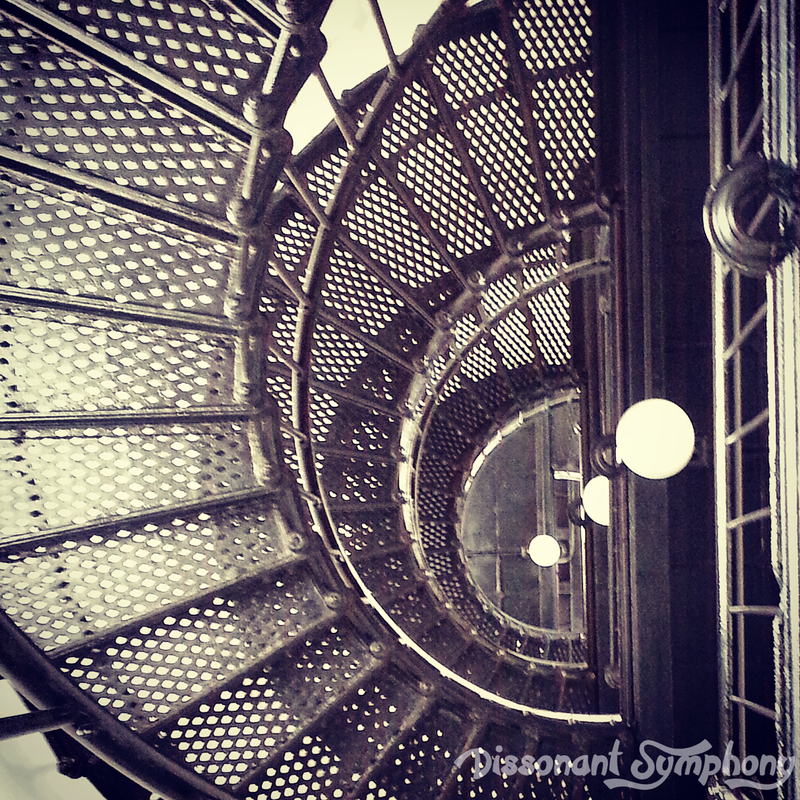 The free tour of the interior of the lighthouse and up the 114 steps is well worth the extra time and effort. Our guide took us back in time, conducting the tour as if we were in 1882. We were transported to a time of “extravagant” $600 a year salaries, high moral expectations, long winter evenings reading by lamplight and oil being lugged up a dozen flights of stairs by hand each night. Entertaining and very informative. If you have any phobias about heights or open railings, the tour is probably not for you. One of the gals in our group was having serious heart palpitations from my kiddos eagerness to look over the railings and view the spiraling staircase from the top. Honestly, had my own husband or mother been with us, they wouldn’t have appreciated the swirling corridor from top to bottom either. 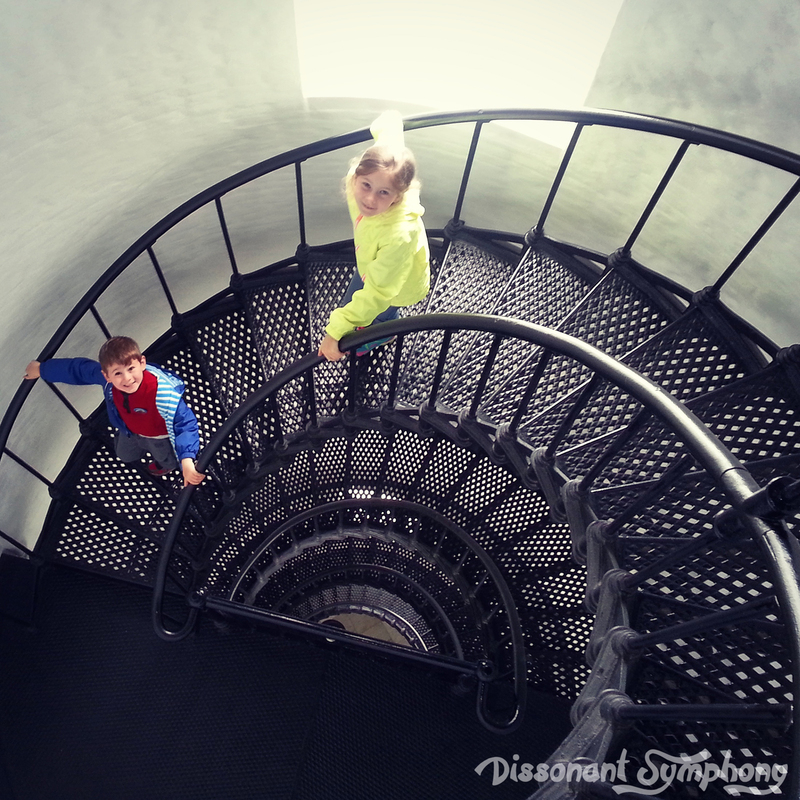 Kids under 42″ are not allowed up to the pinnacle of the lighthouse due to safety concerns. 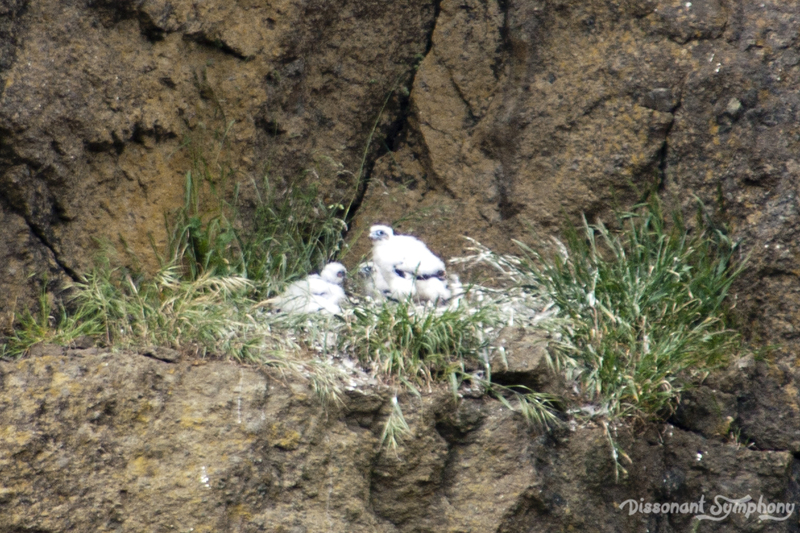 The offshore islands are a year-round refuge for harbor seals and a spring-summer home for thousands of nesting seabirds. 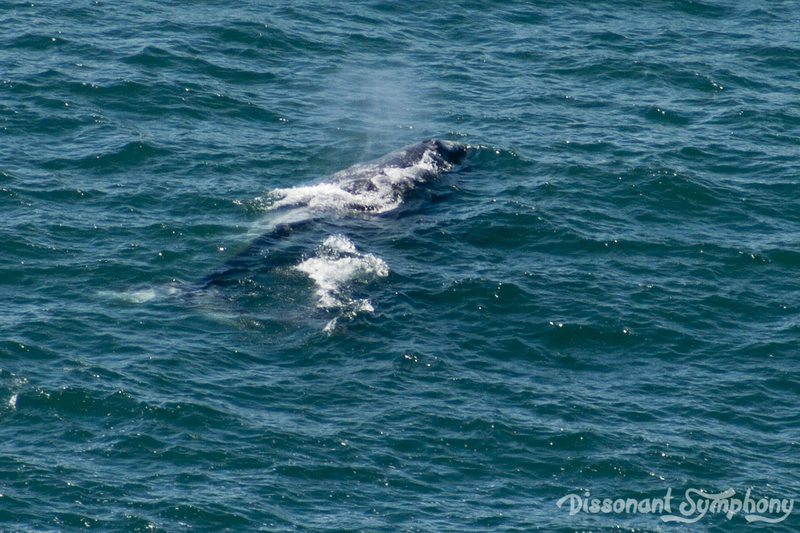 If you keep a sharp eye out, you may even spy some grey whales with their young making their way up the coastline! 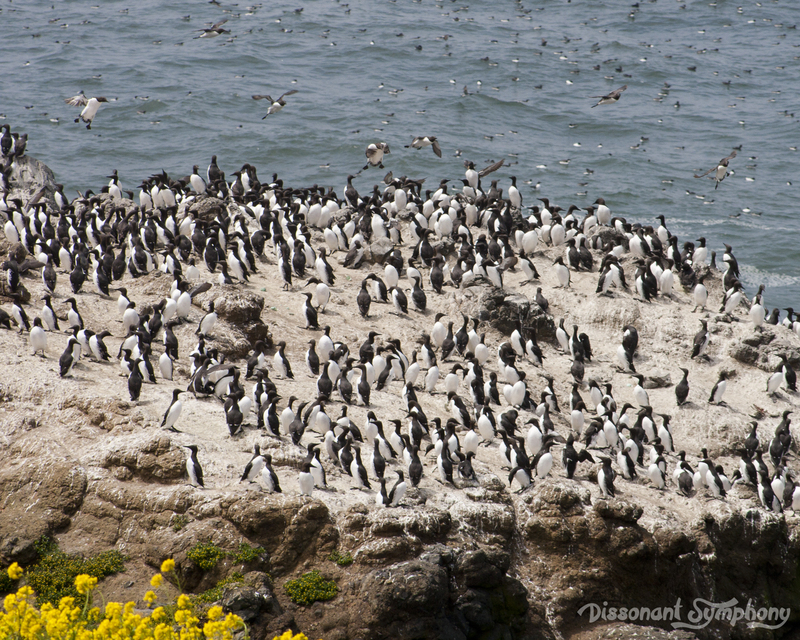 The Common Murre were EVERYWHERE along the offshore rocks.They looked like penguins from far away. 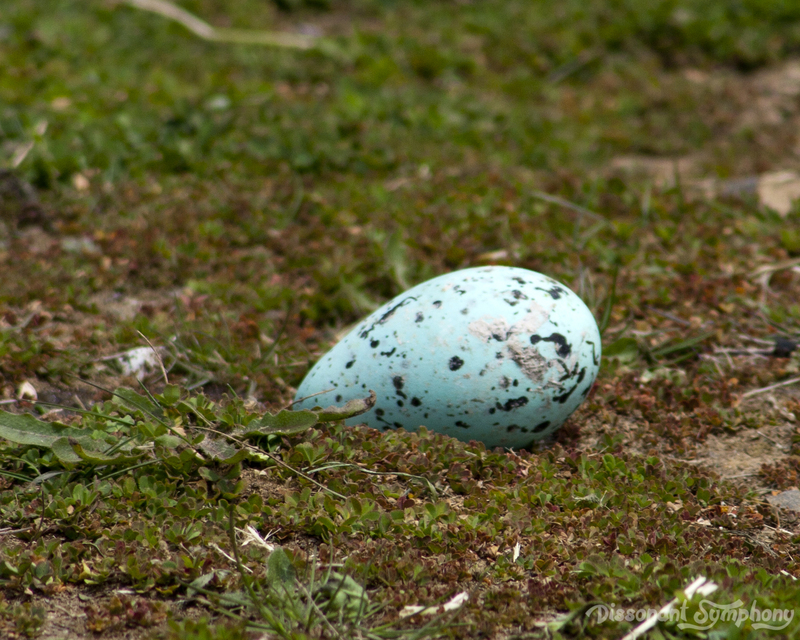 We spotted a sea-gull stealing an egg and devouring it along the side of the lighthouse lawn. Circle of life. 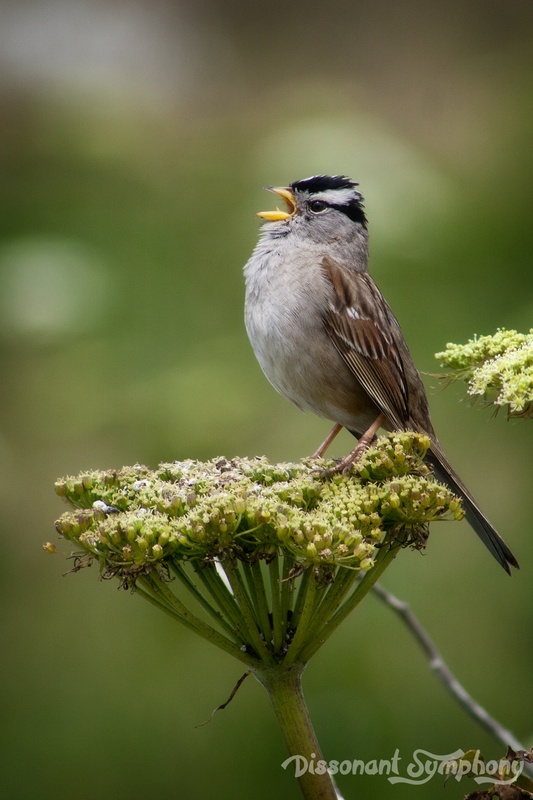 We also came upon a White Crowned Sparrow singing his little heart out along the path to the cliffs. He seemed perturbed to be so overlooked among the more impressive hoards of birds. Traipse down 115 stairs from the lighthouse to Cobble Beach, which is compiled of millions of round basalt rocks that produce an applause-like sound as the waves roll in. 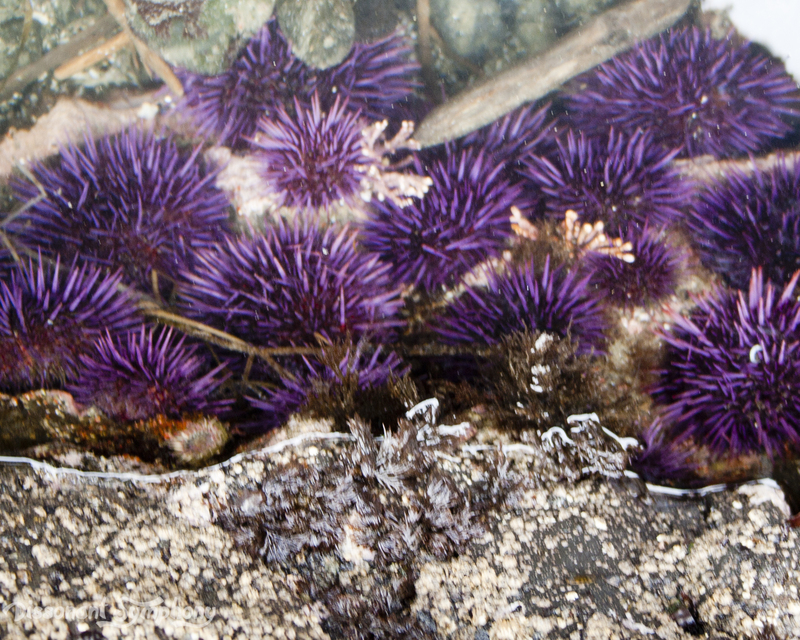 We planned our day to be there during low tide (the Interpretive Center also has low tide times posted) so we could explore the vibrant ocean floor – pools of colorful animals including orange sea stars, purple sea urchins, and giant green anemones. Very friendly and knowledgeable rangers are at hand to answer questions and point out all of the amazing plants and animals that call the tide pools home. 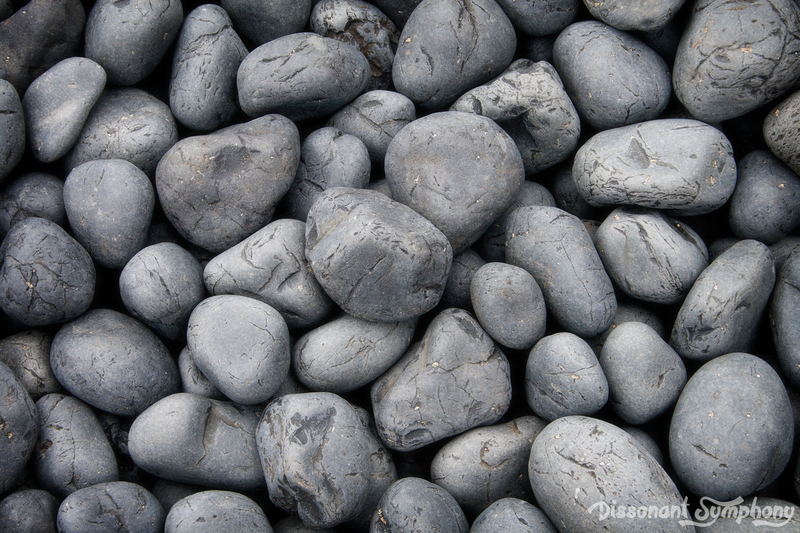 The one bummer at this beach was the prohibition on removing any shells. 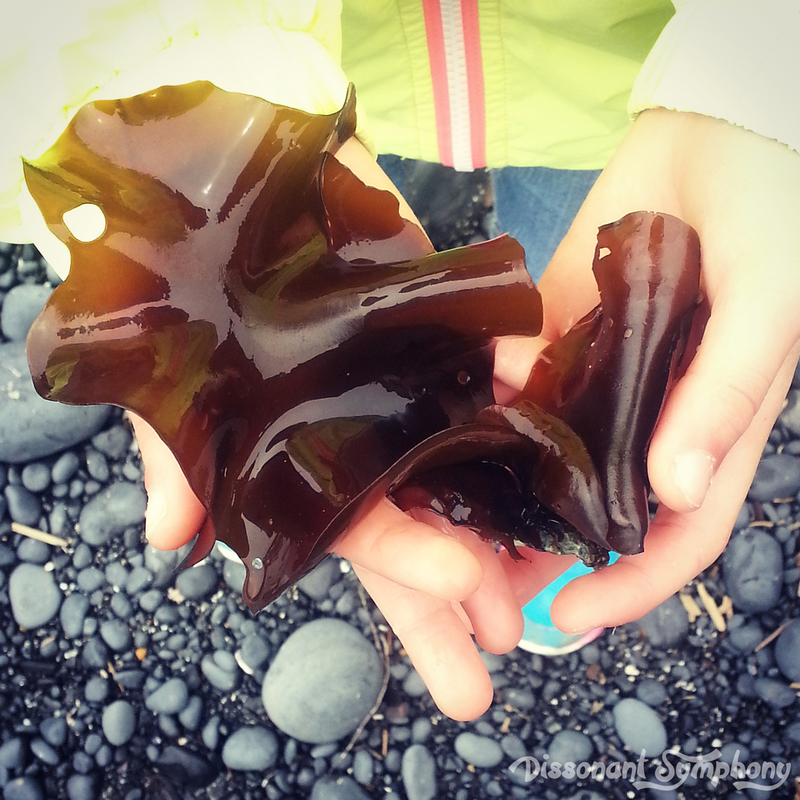 After scavenging other beaches in the area most of the week, my munchkins were disappointed to discover they weren’t allowed to keep their shiny shoreline treasures. 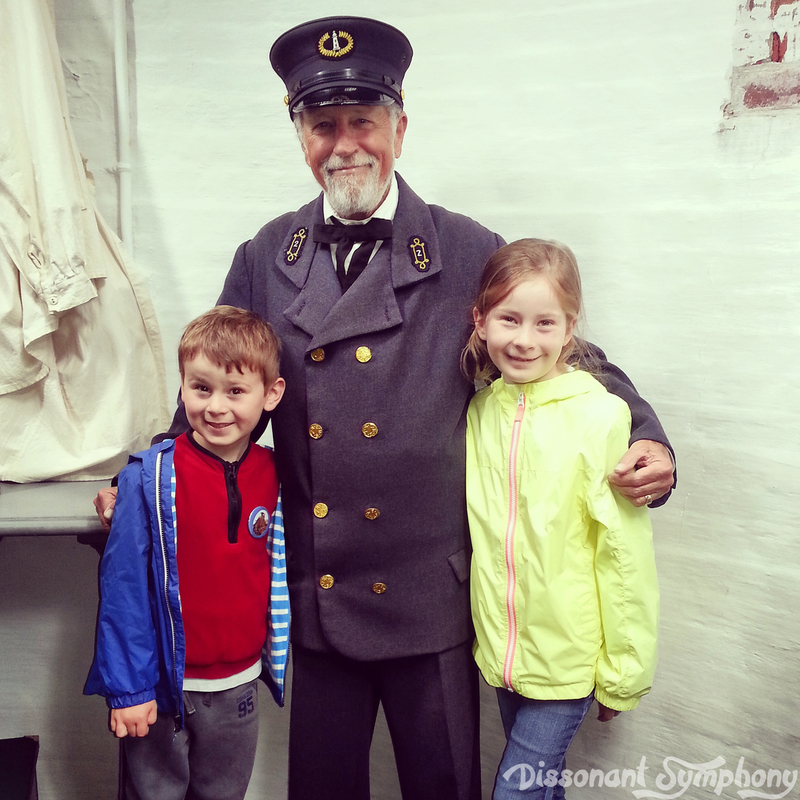 At the Interpretive Center, the kids and I discovered 140 years of lighthouse history and thousands of years of natural and cultural history. Included is a video presentation on lighthouse history, displays showing how the Fresnel lenses magnify the shining light 20 miles off shore, models of whale bones (enormous!) 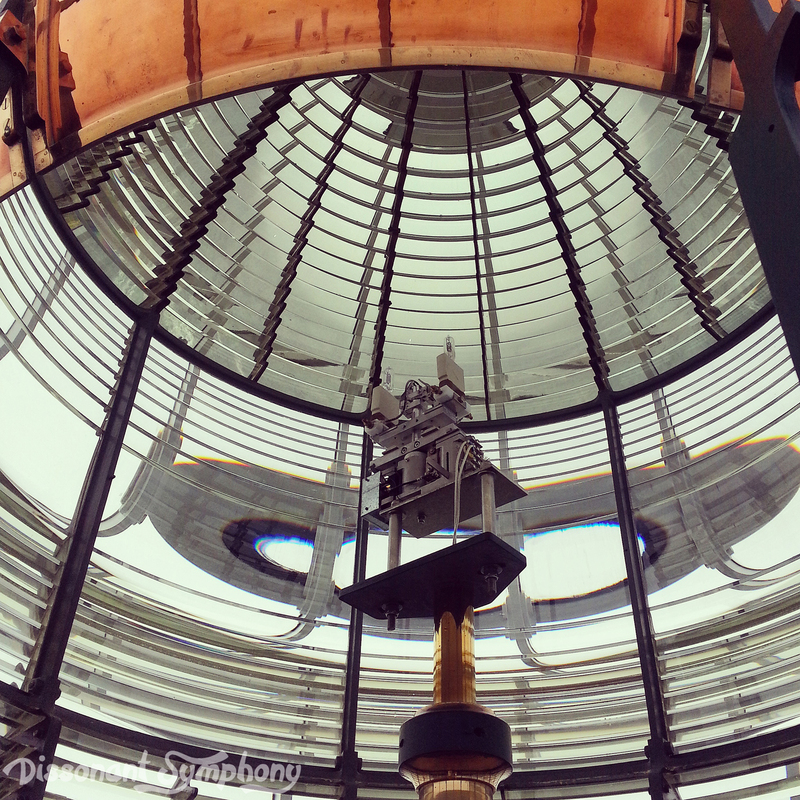 as well as a full-sized model of the top of Yaquina Head Lighthouse. 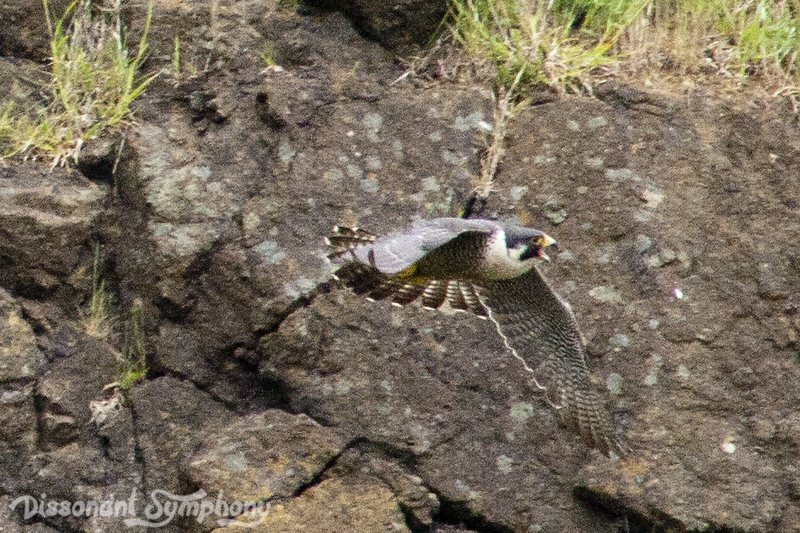 Among the cliffs bordering the Interpretive Center, we were privileged to watch nesting Peregrine Falcons as the mother and father dove along the craggy rocks, snatched lunch for their three little babies and returned their prey to the nest. 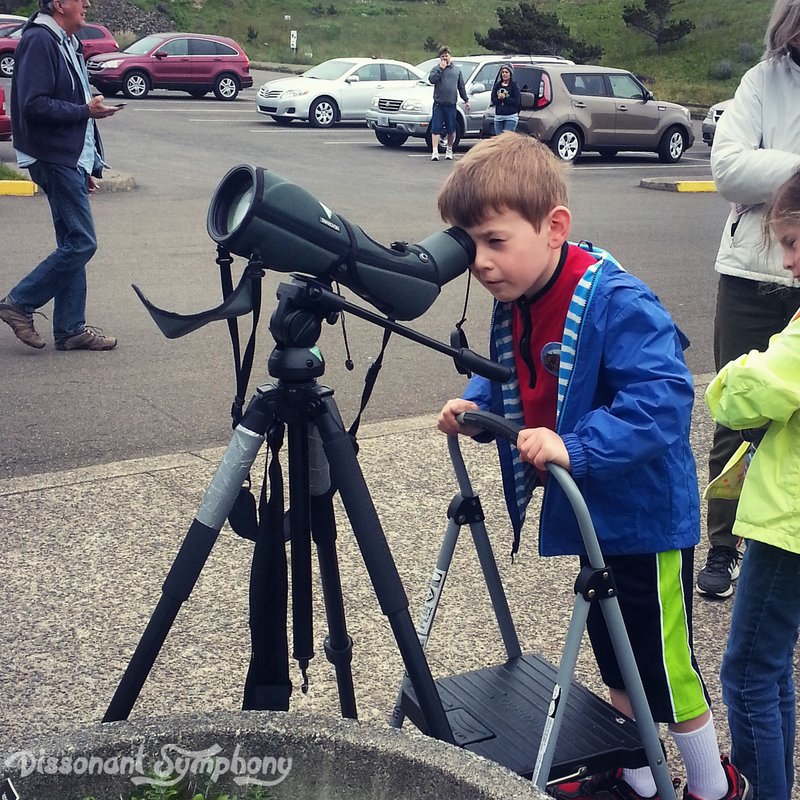 These magnificent birds are my little man’s favorite…he was beyond thrilled with the live show. 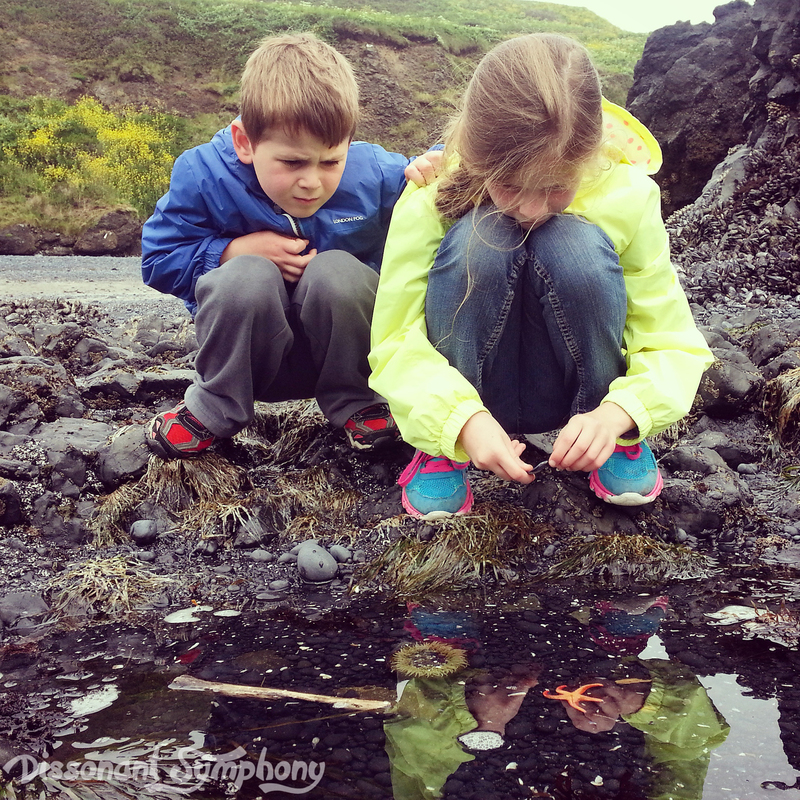 We spent a full day at Yaquina Head Outstanding Natural Area and enjoyed every moment. 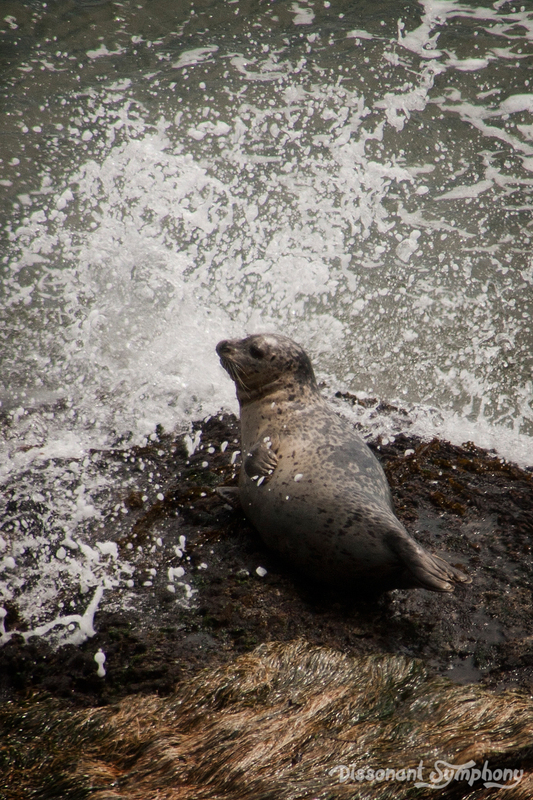 If you are traveling to the Oregon Coast this summer, I highly recommend you take in the beauty and discoveries waiting for you at Yaquina Head.